Overall guest satisfaction averages 777 on a 1,000-point scale, up 20 points from 2012. This marks the highest satisfaction index score for the hotel industry since the introduction of the current study methodology in 2006. Satisfaction has increased in all seven factors, with the largest increases in reservation, cost and fees, and check-in/check-out. 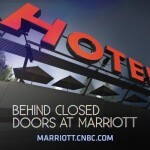 Set your DVRs, CNBC has recently started airing their new special on Marriott. The special focuses on the recent growth of Marriott, as well as the struggles. It includes an interview with former CEO Bill Marriott before wrapping up with a great segment on the 5 Diamond Service provided by Ritz-Carlton. We will let you know as soon as CNBC posts the full episode online. Also, check out this preview about the Ritz-Carlton segment of the show. 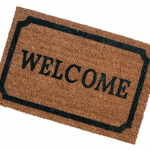 If you our working hard on improving your guest welcome with our Guide to the Ultimate Arrival Experience, we wanted to share a few stories of the Ultimate Arrival Experience in action. The great thing about these two stories is how they show how our Ultimate Arrival Experience will work for any hotel. These two hotels were both visited by one of our mystery shoppers during the same week… both took a similar approach to the arrival experience… but are very different hotels. The first hotel was a budget friendly Holiday Inn, the second was a ultra-luxurious Ritz-Carlton. In the June 2010 issue of Consumer Reports, they have a special travel section that tells readers how to get great deals on travel. They also announce their ratings for the year. The hotel ratings, based on over 27,000 reader’s surveys, are somewhat surprising. 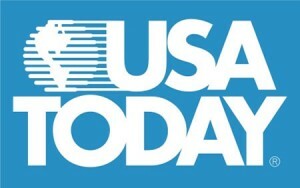 Consumer Reports has odd categories of hotels such as ‘fanciest’, ‘luxury’, and ‘upscale’. The ‘upscale’ category for instance has both full service and limited service hotels. The top score was a tie between Ritz-Carlton in the ‘fanciest’ category and Homewood Suites in the ‘upscale’ category. The Homewood Suites scored an excellent in value and the Ritz scored very good. Four Seasons Hotels & Resorts (12th place), Ritz-Carlton (5th), and JW Marriott (25th) all made the top 25 of BusinessWeek’s annual best companies for customer service. All three hotel brands received an ‘A’ on both Quality of Staff and Efficiency of Service. All three also scored about 50 percent on Definitely Would Recommend Brand. JW Marriott did the best on Will Definitely Repurchase by scoring 48 percent, a tremendous score for a hotel. Other travel companies that made the list were Jetblue Airlines (19) and Enterprise Rent-A-Car (16). 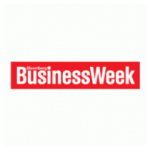 To view the full list on BusinessWeek’s website, click here.